May and early June are the happiest weeks on deck. Everything looks hale and hearty and the diseases, fungi, and mildew have yet to descend. Let’s enjoy it while it lasts. 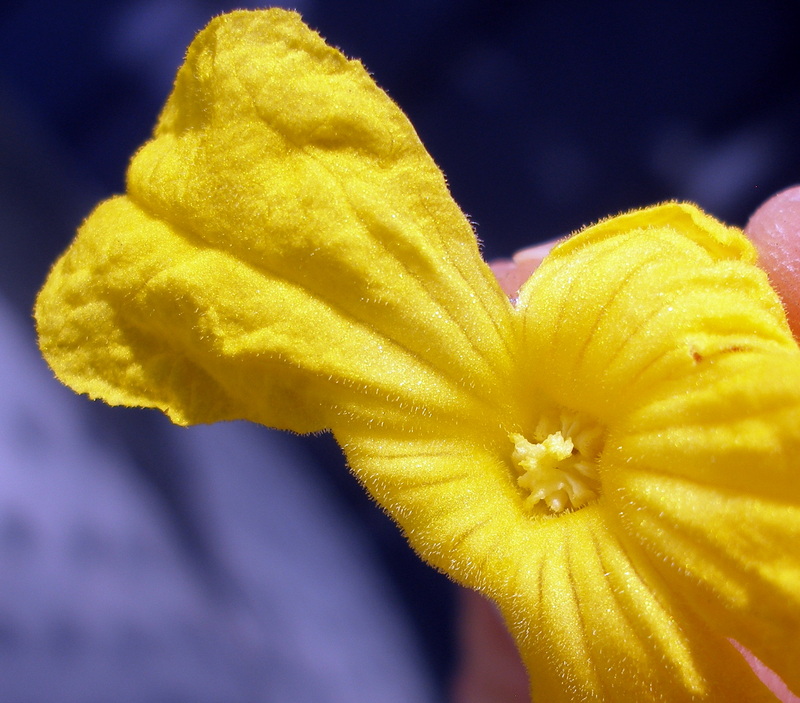 These Happy Cat true lemon cucumbers are full of blossoms and in years past, POD simply trusted bees to do their pollinating thing. Alas, that didn’t work out so well last year. We had a few cucumbers, but not nearly enough. 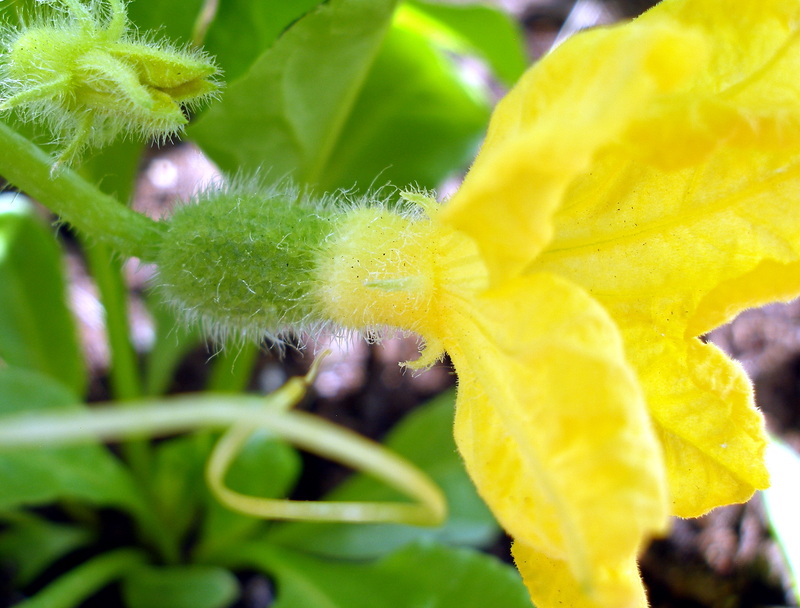 Cucumbers that aren’t pollinated properly will not mature or will develop into misshapen, malformed fruits. 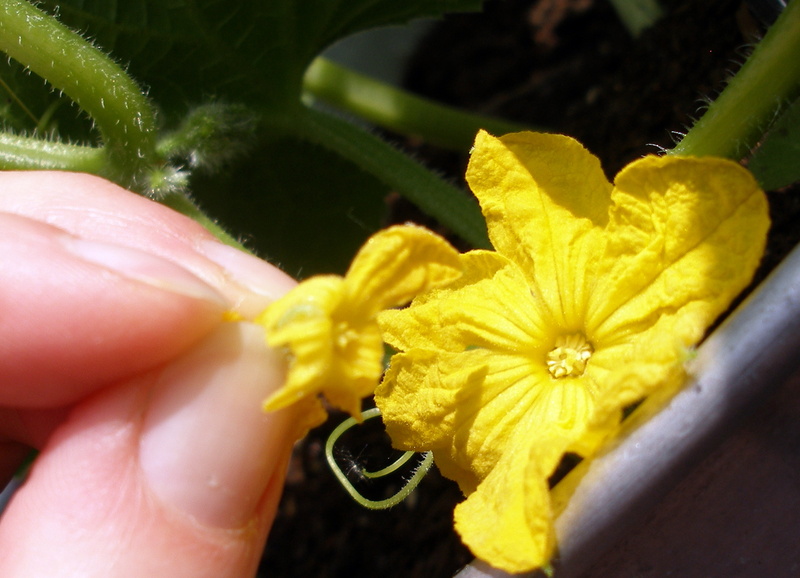 To produce healthy cucumbers, the pollen from the male blossom needs to make its way to the female flower. Sounds easy, but when your city garden lacks the required bee presence, you’ll need to lend a hand. Many gardeners use the paint brush trick, but after trying out both methods, POD’s found that applying the male blossom directly to the female appears to be more productive and efficient. 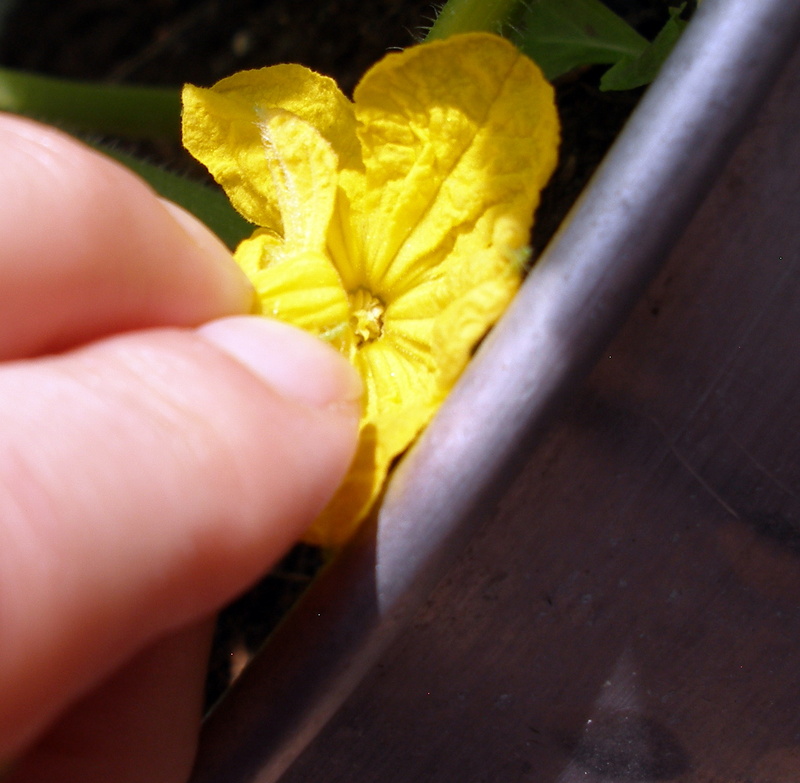 Simply pluck the male flower from the vine and gently pull the petals back, exposing the pollen-y center. Carefully touch the center of the male flower to the center of your female flower. You and me both! It’s all I can do not to pick my true lemons. They’re almost there…but not quite.